The hardware development is entrusted to a team of keen technicians, with experience in different fields, such as digital electronics, radio frequency and mechanics. The development process is faced with a multidisciplinary approach and is observed from different points of view: end user, electromagnetic, physical / chemical and mechanical. Thanks to the availability of software tools for development & simulation, and of instuments for test & measurements we are able to produce solid designs in short time. Digital design based on microcontrollers, microprocessors or FPGA/CPLD. Mixed digital/analog design for metering applications. Low power mixed design with focus on the power source: battery, solar panel and battery charging (Li-Ions, NiMH, Pb). Design of radio frequency components or sections like oscillators, power amplifiers, low noise amplifiers, filters, matching networks and frequency converters. Design of low power wireless systems and device for telemetry and remote control. Most used frequency bands are 169MHz, 433MHz, 868MHz and 2.4GHz. Design of special sensors for a wide range of applications. 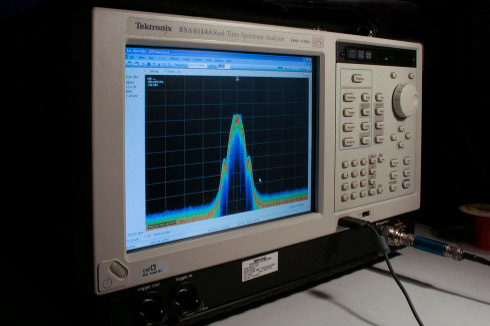 Some of the involved technologies are: ultrasonic for ranging and speed detection, FDR (Frequency Domain Reflectometry) and TDR (Time Domain Reflectometry) for dielectirc analysis and mositure measurements, capacitive / inductive for proximity detection. Electronic devices are mainly realized in SMT technology with re-flow oven soldering on single or double side, a technique that provides major reliability and stability in time. PCB are often treated with gold-plating to guarantee excellent soldering and to make the optical inspection better. Finally the hardware deisgn can take care also of the mechanical side, considering roboustness, electrical safety and aesthetics.